The number of patients suffering from tick-borne diseases, some of which are life-threatening, is increasing at a rapid pace this year, prompting alarm among medical experts. In particular, experts have flagged two infections for which no vaccines are available, noting that the bites through which they are transmitted are difficult to spot. According to the National Institute of Infectious Diseases, tick-borne Japanese spotted fever, which causes high fever and a rash, has already been found in 118 people this year, topping the figure from the same period last year. The health ministry reported a record 276 such cases last year. After an incubation period of two to eight days, the disease can — in serious cases — cause respiratory failure or disseminated intravascular coagulation (DIC), a potentially life-threatening condition in which small blood clots develop throughout the bloodstream. Tick-borne diseases should be considered a potential threat as tick bites often go unnoticed, said Masayuki Saijo, who heads one of several virology departments at the NIID. Most infections have been reported in western Japan, with Mie Prefecture topping the list at around 35 cases per year, according to the institute. But infections have also been confirmed at locations in eastern Japan, such as Tochigi and Niigata prefectures — a sign that the disease is spreading nationwide. Saijo stressed that there is no need to panic, as the disease can be easily treated with antibacterial drugs. Though it affects fewer patients, infections of a more dangerous tick-borne disease — called severe fever with thrombocytopenia syndrome (SFTS) — are also increasing. As of July 23, 51 people had already contracted SFTS, which has a fatality rate of up to 30 percent. Five of the patients died. Since the first SFTS infection was confirmed in Japan in 2013, 280 people have been infected, of which 58 died, according to the NIID. 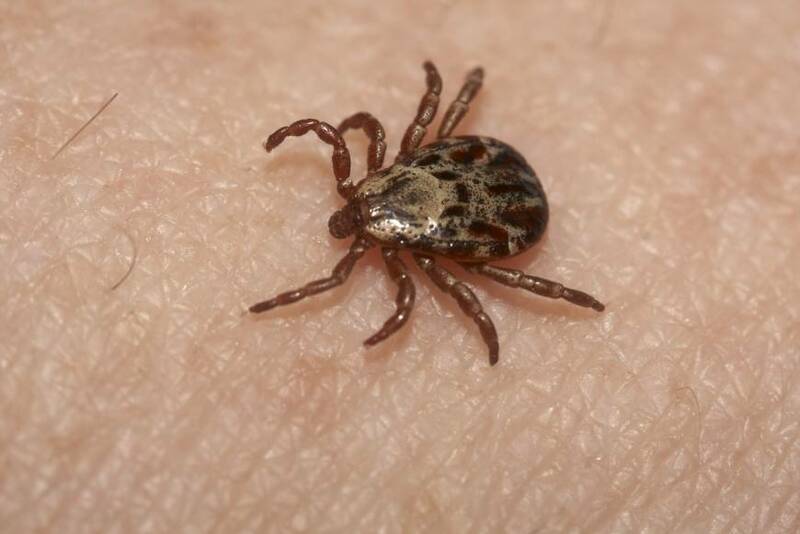 “In 50 percent of the cases, tick bites were not detected,” Saijo said, explaining that ticks tend to migrate to the armpits, groin or hair-covered areas where they are often difficult to notice. “SFTS doesn’t have any specific traits that would make the disease recognizable. It’s no different from a cold or stomach flu,” he said. After an incubation period of six days to two weeks, SFTS causes fever, nausea, diarrhea and drowsiness, according to the health ministry. The ministry has also reported a case of an indirect infection through a cat that lead to death of a woman. The woman died from SFTS 10 days after being bitten by a sick stray cat last summer when she was trying to take it to a veterinary hospital. The ministry believes the cat had been infected with SFTS. No vaccines are available for SFTS or Japanese spotted fever. The NIID’S Saijo said that ticks, depending on their type, may also transmit viruses that cause ailments such as Lyme disease, which is seen in central Honshu, or tick-borne encephalitis, confirmed so far only in Hokkaido. The health ministry and the NIID recommend wearing long sleeves and long pants when walking through areas with tall grass in fields or forests. 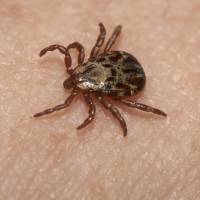 Ticks are active from spring through fall, and the number of reported infections increases during this period, Saijo said.